Where to Buy Select Iron 15-0-0, Select Iron 15-0-0 Ferromec AC - 2.5 Gallons - $59.95 for Sale with Fast Free Shipping! Select Iron 15-0-0 Ferromec AC - 2.5 Gallons is a supplemental source of iron and nitrogen designed to enhance green-up and correct nutritional deficiencies. By buying this product & leave product review you can collect normally 5 reward points as a voucher of $0.50(1%). Select Iron 15-0-0 is amine-compatible and has reduced potential for staining. All I can say was WOW this stuff killed the bedbugs immediately! It provides very powerful insect control like bed bugs. Very efficient. 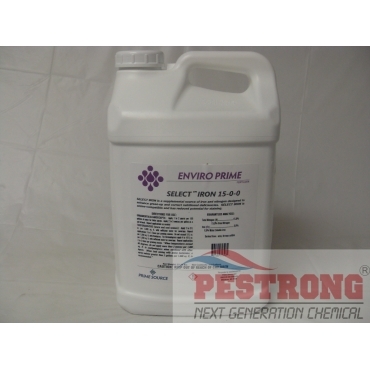 This is a very strong pesticide that is highly effective on several species of insects. Kills bed bugs, spiders, and anything else that crawls across it. It combines the fast-acting, broad-spectrum control of beta-cyfluthrin with the systemic residual control of imidacloprid to provide premium performance and efficacy. I used this as my hotel pest management. It works well.